The kitchen idol follows that up with Creamy Christ-mac Salad. Indeed, a Filipino Christmas can never be complete without the classic macaroni salad, right? Well, to whip a new zing into that all-time Christmas family favorite, try the way Chef Boy does it! 1. 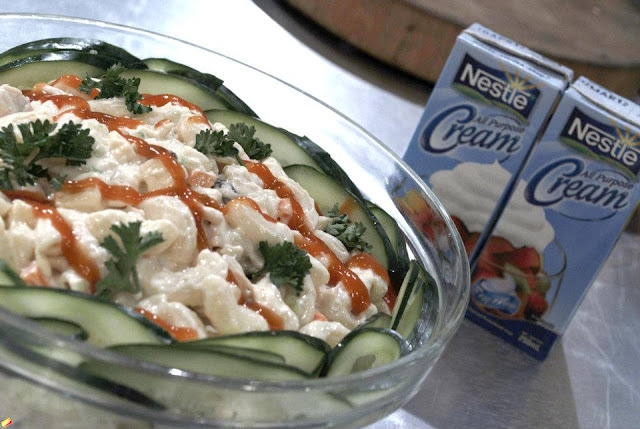 For dressing combine NESTLE ALL PURPOSE CREAM, mayonnaise and sugar. Add salt to taste. 2. Toss together all ingredients with prepared dressing. Chill for at least an hour before serving.